Kenya has just burned over 100 tons of ivory as a message to poachers worldwide that poaching is not tolerated. 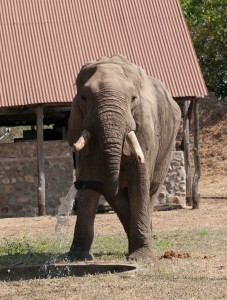 Some believe that Kenya is wrong and that this act might encourage poaching instead. I disagree. I believe that advocates of controlled hunting and trade are leading us onto a slippery slope that will only increase the demand for ivory (and rhino horn). I think we should concentrate on educating people and reducing the demand instead. No demand – no poaching. Orphaned elephant who has been a bit to close to a snare (scar on his trunk). 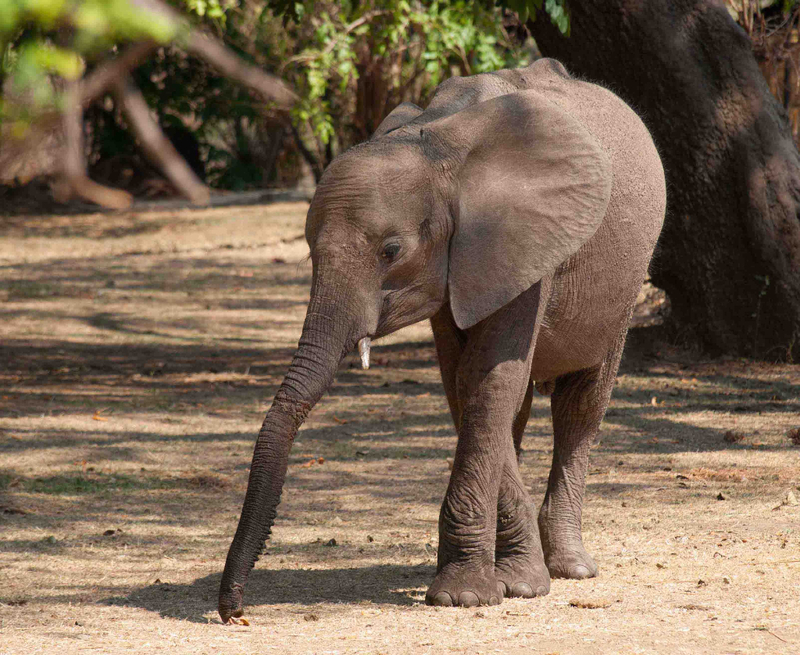 South Luangwa NP. What a mighty victory that would be, if we could make sure that our grandchildren also will be able to see elephants in the wild. If we could ensure that they might be able to sit under a thatched palm roof in Northern Zambia working on a laptop; lamenting the fact that it is SO hot that not even the breeze flowing into the open palapa brings any relief whatsoever. I wish they might be able to suddenly look up and realise that a 5 ton bull elephant has managed to sneak up on them and is now standing around 15 feet away using its trunk to hoover the floor under the kitchen table for cereal crumbs from breakfast. At the end of the dry season in Zambia humans and elephants have to share the limited water resources. North Luangwa NP. .. Or that they might be able to wake up suddenly in the middle of the night, when it has finally cooled down some, wondering what that crunching noise from just outside the window is. Only to find out on closer inspection that it is another bull elephant munching on the fruits of the marula tree next to the hut. A bull elephant who doesn’t mind a scrawny little human tiptoeing outside to sit in a bamboo chair and watch him go about his business for the next hour. That is my wish. That, and maybe world peace, wouldn’t be so much to ask would it? Please Santa?